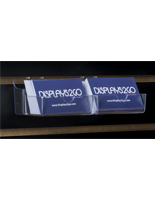 This acrylic pamphlet rack is compatible with slatwall paneling in a retail store. 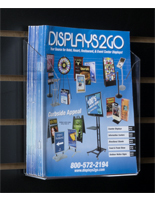 This mounted fixture has a single pocket for periodicals and promotional material. 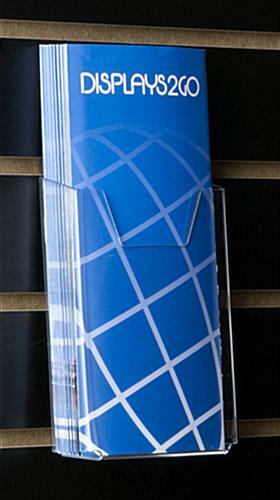 This acrylic pamphlet rack that is a trifold holder stores letter-sized documents too. 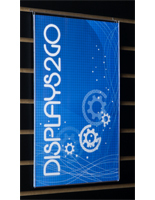 Each of these literature displays is inexpensive, with prices dropping further when purchased in bulk! 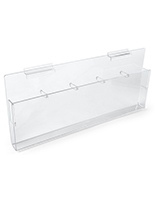 This acrylic pamphlet rack, also known as a wall-mount, is transparent so contents are readily seen, and requires no tools for set-up! 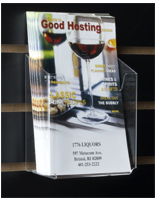 I purchased 10 of these small brochure holders for a slatwall display. All of them were misformed and would not fit in the slatwall groove. Two broke in the process of trying so I had to modify them to fit. 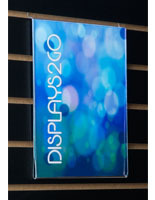 The other brochure holder sizes for 5.5 and 8.5 inch were okay. 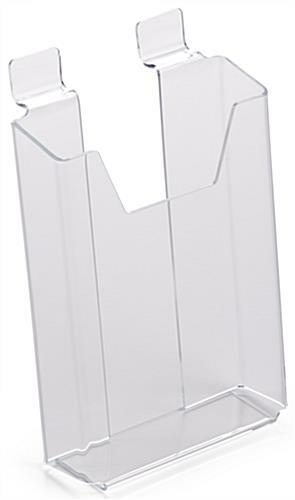 I reordered some of these again because the first one's I got had a tab so thin that the plastic quickly broke and they no longer could be hung on the slat wall. I figured we just got a bad batch. If these new ones break, we'll order from someone else in the future. Hi Hal, We're so sorry to hear this. We've forwarded your feedback to our customer care specialists and they will be reaching out to assist. Thank you for your patience!